Taking the bus from Ho Chi Minh to Phnom Penh is a lot cheaper than flying. Plus, you get the experience of crossing the border between Vietnam and Cambodia. Flying from Ho Chi Minh to Phnom Penh can be quite expensive, but this is a good option if you’d rather avoid the hassle of crossing the border when traveling by bus. A cross-border trip offers a new travel experience. Why not have at least one in your itinerary? This route from Ho Chi Minh to Phnom is one of the more popular ones and also pretty straightforward. Some popular bus companies that operate this route include Mekong Express, Giant Ibis Transport, Sinh Tourist and Kumho Samco. the journey takes between 6-7 hours and fares start at 230.000 VND (€10). Some bus companies also operate vans from Ho Chi Minh to Phnom Penh. 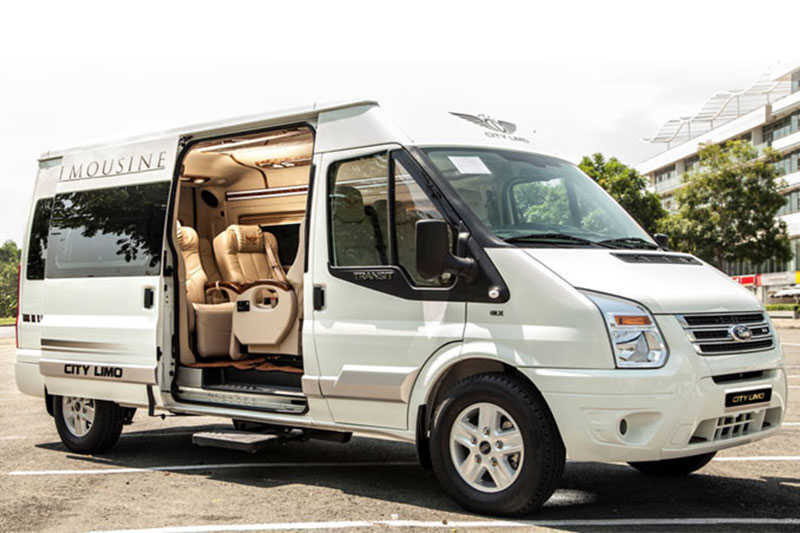 While vans can be quite uncomfortable, the van from Sapaco will be a totally different experience. 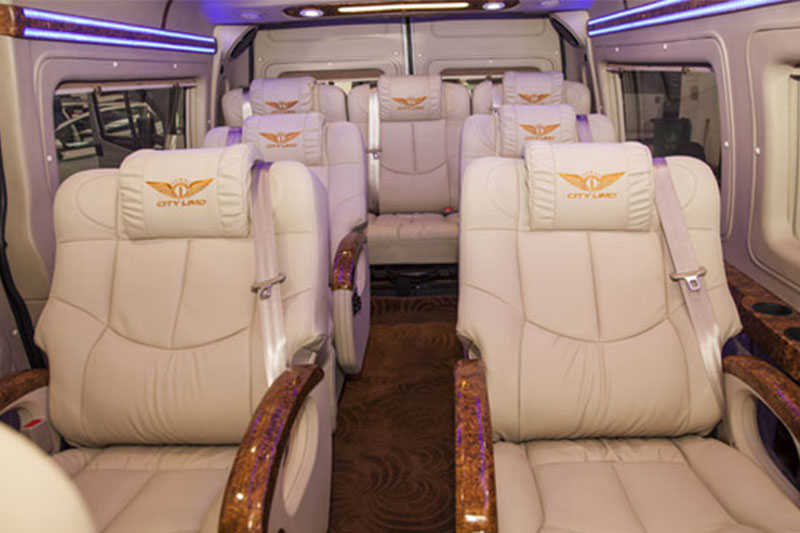 This Limousine Bus offers a luxurious van trip for 340.000 VND (€15). In our opinion worth spending a few extra bucks! Vans leave at 6:00, 6:30 and 7:00 in the morning an also have one afternoon trip leaving at 14:30. You can book a seat in their van on Baolau. There are 5 immigration points along the Vietnam-Cambodia border, but most buses pass through the Bavet/Moc Bai Border. This entry point sells a visa on arrival for travellers who need a visa to enter Cambodia. Usually, the bus personnel will assist their passengers with the entry process. If not, you have to line up on your own. It’s not a very organized process, but you’ll make it through. Most buses don’t stop for bathroom breaks before you reach the border. The first stop will likely be just after you crossed the border. At this stop, you can also order a meal or buy some snacks with your last Vietnamese Dongs. Tip: Always keep a lookout for the bus personnel or fellow travellers from your bus so you don’t get lost. It’s common to book a flight when traveling to another country. Flying from Ho Chi Minh to Phnom Penh takes less time, and both airports are located within the city. The only downside is the higher cost. If you’d rather avoid the slight chaos of border-crossing, then a flight is the better option. Cambodia Angkor Air, Vietnam Airlines and Qatar Airways offer a few trips daily from Ho Chi Minh to Phnom Penh. Fares start from 1.600.000 VND (€70) but get more expensive closer to the travel date. Visit the Phnom Penh Airport page to find out how to get from the airport to the center of Phnom Penh.